Take Wellington Road out of the city. Merge onto King’s Hwy 401/MacDonald-Cartier Fwy and continue west to Windsor. Welcome to Windsor, Canada’s most southerly city located just two hours from London. 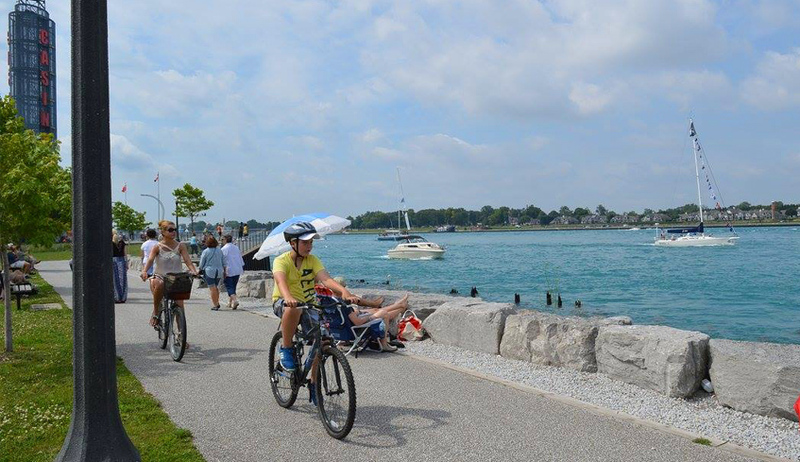 The city boasts beautiful parks, gardens and an 8 kilometre riverfront trail along the Detroit River. Walk, cycle or roller blade amongst memorials to our war heroes, floral displays and the Windsor Sculpture Park. Ontario’s first casino has recently expanded and reopened under the Caesars brand. Two sumptuous hotel towers, new restaurants and lounges, exciting games and a 5000 seat entertainment venue are waiting for you! In 1858 whisky production began in Windsor by Hiram Walker. Now over 150 years later all Canadian Club Whisky is still produced right here. Join us at the Brand Center to hear the story of the founding family, the company’s role during Prohibition and the production process. The surrounding neighbourhood of Walkerville, named after the distillery's founder, boasts lovely architecture and Willistead, the home of Hiram Walker’s son. Other attractions include the Windsor Woodcarving Museum, Canada South Science City and Windsor’s Community Museum. The County of Essex encompasses seven communities each with its own distinctive charm. 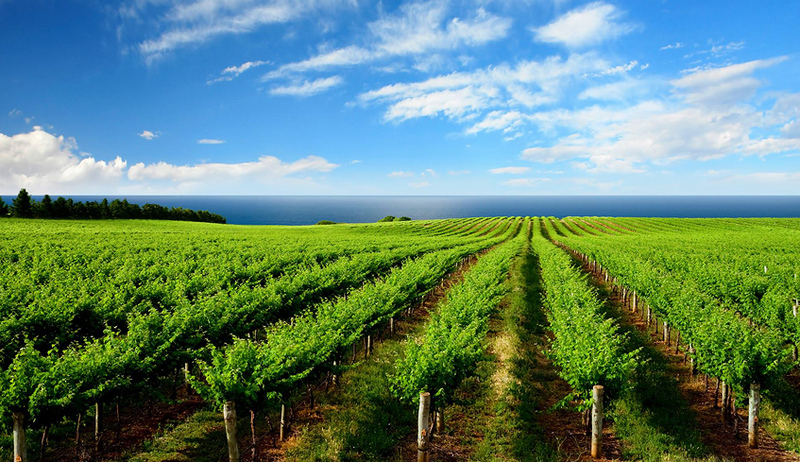 This is where you will discover Essex’s wine route that features 14 award-winning wineries, historical attractions about 1812 history and the Underground Railroad and outdoor attractions to suit every taste. Canoe or kayak peaceful inland waterways, hike or bike the Chrysler Canada Greenway, enjoy miles of beaches, or follow the seasonal migrations of songbirds, Monarch butterflies and raptors. Our birding sites are some of the best in the world. Pelee Island, Canada’s most southerly inhabited point is a step back in time. As you glide across Lake Erie, you can feel your system adjusting to “island time.” Enjoy natural areas, Pelee Island Winery’s Pavilion, hiking, cycling, beach time and the Heritage Centre. Don’t forget to wave, it’s an Island tradition! 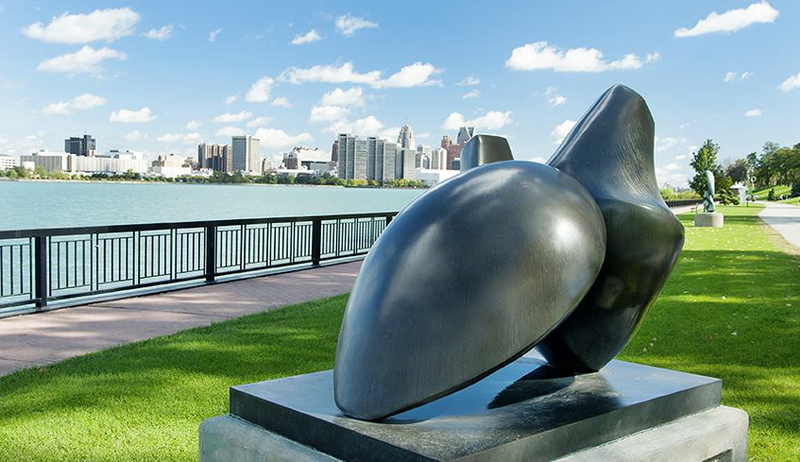 Enjoy a cruise on the Detroit River, fabulous entertainment at our clubs and theatres, or a tantalizing meal prepared with fresh, local ingredients. Festivals celebrating music, food & wine and our ethnic diversity occur nearly year round. This Is The Life – Windsor, Essex County and Pelee Island. Take Wellington Road out of the city. Merge onto King’s Hwy 401/MacDonald-Cartier Fwy and continue west to Windsor. Take exit 77 through Comber to Leamington. Take the Leamington-Pelee Island ferry to Pelee. Experience Pelee for a day or a few! Canada’s most southerly inhabited point is an oasis of green in the waters of Lake Erie. An Island approximately 14.5km (9 miles) long and 5.5km (3.5 miles) wide where pristine beaches, natural areas and a leisurely pace await you, together with various accommodation options from cottages and camping to motels, B&Bs or a Victorian inn. The island also offers marina facilities, an auto-ferry service which operates from mainland Canada or Sandusky, OH (1-800-661-2220 or (519) 724-2115), and flights from Canada or the US. Many who choose to "leave the car at home" experience the true flavour of the island by bicycle (bring your own or rent one there)! See all the island nooks and crannies on a guided tour (by bicycle or auto). Because the island is considered an ’international port’, both US and Canadian visitors to Pelee may experience some heightened security measures which may include property searches. It is also noted that all passengers should arrive at the dock no later than 30 minutes prior to the ferry departure time or risk losing their reservation. Pelee Island Transportation has provided full details or you can contact the Convention & Visitors Bureau for clarification at 1-800-265-3633. The Pelee web pages contain lots of information about things to see and do and places to stay. For further island information, check out the Township of Pelee’s official website. Take Wharncliffe Road (Hwy 4) or Wellington Road South and continue south through Union to Port Stanley. Just south of St. Thomas and still only 45 minutes from London is the picturesque fishing village of Port Stanley complete with mooring trawlers, tugs and watercraft of all sizes—including the occasional tall ship. It’s fun to poke in and out of the many boutiques along the route to two main beaches, or dine at one of several restaurants or small inns nearby. The town’s large sandy beach attracts families from all over. Cozy bed-and-breakfasts abound, along with the fully restored 1849 vintage Kettle Creek Inn featuring comfortable guest rooms and suites. Every weekend from late March through December, families and friends are drawn to Port Stanley to take the scenic "Port Stanley Terminal Rail" tourist train along the Kettle Creek Valley to either Union (40 minutes round-trip) or St. Thomas (90 minutes roundtrip). Enjoy seasonal themes like the Easter Bunny or Santa Express, or murder mystery rides. Visit www.pstr.on.ca for a complete schedule. The Lake Erie shoreline is also host to spectacular bird migrations—from Tundra Swans to the American Kestrel. Almost all manner of hawk take wing each fall near Hawk Cliff. To get to Hawk Cliff, take highway 4 to County Road 27, turn right on Highway 22 and proceed to Lake Erie. Take Wellington Road out of the city. Merge onto King’s Hwy 401/MacDonald-Cartier Fwy and continue west to Chatham-Kent. Chatham-Kent features some of the most moving tributes of Canadian history and the best recreation this country has to offer, making it well worth the one hour road trip south of London. Within this community of communities is an eclectic selection of more than 60 attractions and tourism experiences to enjoy. In Chatham-Kent 11 museums and several historic sites provide a glimpse of key highlights including the time of freedom seekers and the Underground Railroad, the fierce battles of the War of 1812, and the 1860 discovery of oil highlighted at the Bothwell-Zone Oil Museum to the modern-day green energy windmills at Port Alma. Visitors can walk the land of the infamous battlefield where Shawnee leader Chief Tecumseh was killed during the War of 1812 and tour the tiny cabin of Rev. Josiah Henson, known worldwide as Uncle Tom’s Cabin. Premier attractions such as the RM Classic Car Exhibit and famed automotive festivals highlight this region’s prominence as Classic Car Capital of Canada. In Chatham-Kent visitors can get up close to rare and luxurious vehicles. 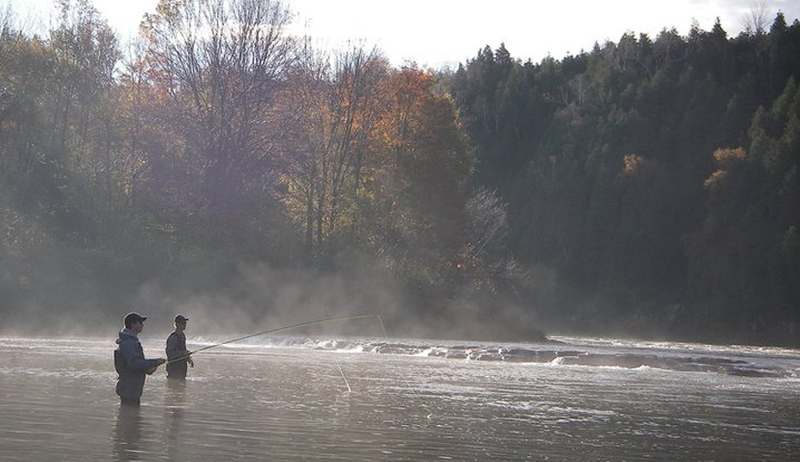 Chatham-Kent is a world-class destination for fishing and birding. Along the migratory route, Chatham-Kent parklands offer frequent sightings of many rare birds. East of Chatham-Kent, anglers can enjoy sport or game fishing in Lake Erie with its abundance of walleye, pickerel and perch. On the western shore, Lake St. Clair offers excellent sport fishing as one of the last muskie lakes in existence. Seasoned golfers consider this area a recreational resort for its pristine and challenging greens at 9 well-maintained public and semi-private courses and scuba divers and fans of extreme water sports can explore the 20 shipwrecks near the shoreline and experience ideal conditions on local lakes and bays for extreme water sports. Downtowns invite exploration with cultural venues, quaint boutiques, and fine restaurants all within walking distance. Scenic towns, waterfront villages, and urban centres appeal to numerous vacation styles. Whether the trip includes a visit to Smith & Wilson Estate Wines, the start of the southwestern Ontario Wine Route, a family attraction or racetrack and casino, Chatham-Kent is worth the visit. Take Wellington Road out of the city. Merge onto King’s Hwy 401/MacDonald-Cartier Fwy and merge onto the ON-402 ramp to Sarnia. We’re only a 1-hour drive west of London. And there’s much to discover here! 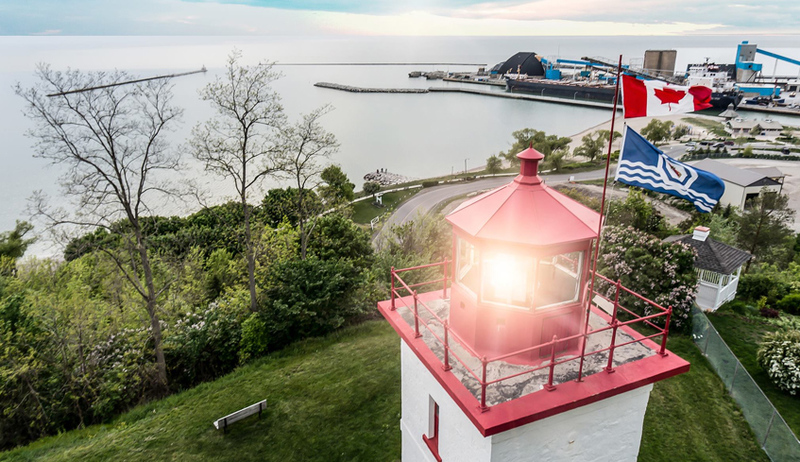 Some of Sarnia-Lambton’s many tourist attractions include gaming, golfing, museums, art galleries, specialty shopping, dining experiences, fine hotels and star-studded performances at the theatre. The spectacular white-sand beaches that line the shoreline of Lake Huron are one of the area’s surprises! 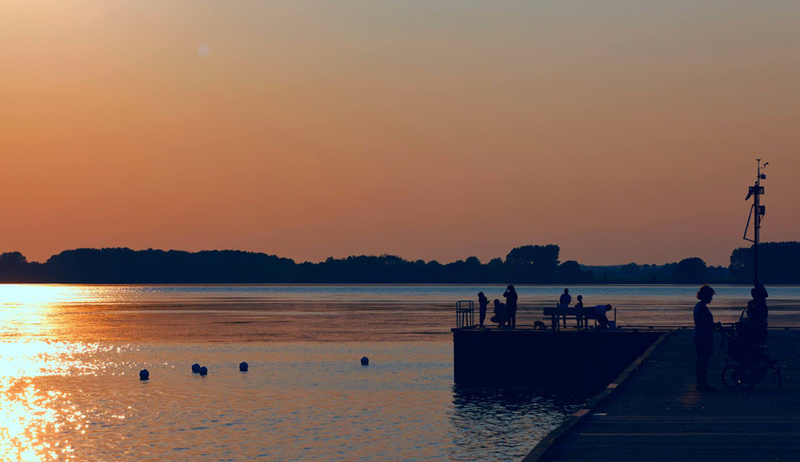 From Sombra Village to Sarnia to Grand Bend, visitors will find perfect spots for boating, an afternoon picnic, swimming or just enjoying a red-orange evening sunset. Take time for a memorable cruise on the beautiful St. Clair River aboard one of our cruise boats to truly "discover blue water country." Venture along the back roads of rural Lambton, where a rich oil heritage history comes alive. The 1st Commercial Oil Well in North America was discovered in 1858 in Oil Springs, south of Petrolia – Canada’s Victorian town. A trip to the oil heritage district would not be complete without a visit to The Oil Museum of Canada and the Petrolia Discovery. Our diverse 3,000 square kilometer landscape is blessed with a multitude of outstanding backdrops to keep you coming back. Waterfront parks, beaches, indoor and outdoor theatres, arenas, and more set the stage for spectacular holiday displays, professional sporting events, world-class music concerts, exciting festivals, First Nations Pow-Wows, and colourful fall fairs. There is family fun, year round. We are proud of being a relaxing "hidden gem" that welcomes visitors with warm hospitality to inspire your return, year after year. Sarnia and Lambton County has it all. Pure and simple! Discover the lifestyle of Blue Water Country soon! We invite you to visit our website for more information including our detailed Travel Guide. For St. Thomas take Wharncliffe Road (Hwy 4) or Wellington Road South and continue south through Union to Port Stanley. Known as the "Railway Capital of Canada," St. Thomas south of London. The St. Thomas "On Track" group is busy restoring the city’s railway heritage. Visit the Elgin County Railway Museum, open 7 days a week from June 1st to Labour Day or attend the city’s annual Iron Horse Festival each August. Train enthusiasts might also want to stop by Jumbo Hill commemorating world-famous circus elephant Jumbo’s tragic demise when felled by the Grand Trunk Railway in St. Thomas back in 1885. Take Richmond Street North (Hwy 4) out of the city past Hwy 22. Continue north for about 50 km. At Exeter turn left (west) onto Hwy 83 and follow to where it ends at Hwy 21. Turn left (south) on Hwy 21 and proceed for 3 km. 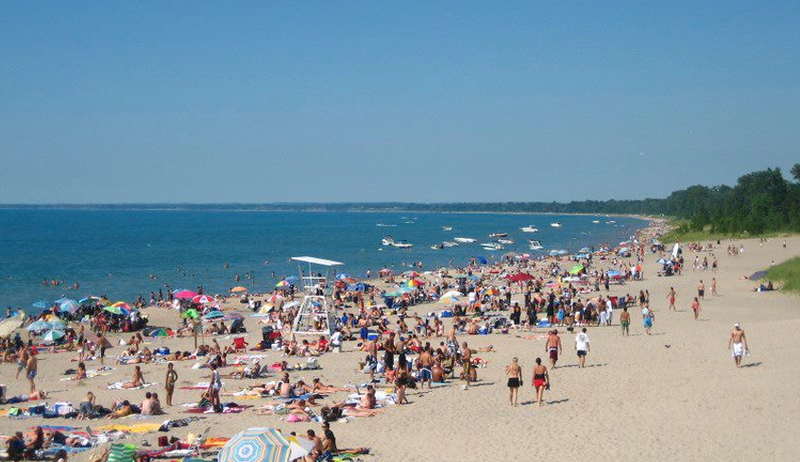 Despite a winter Carnival that is growing stature each year, Grand Bend has always been known and loved as a quintessential summer town with good reason. A 400-metre beach of white sand hugging the shores of Lake Huron is a powerful magnet that attracts people of all stripes. Just strolling the beach in bare feet is one of those simple pleasures in life that holds appeal whether you’re 2 or 82. The Bend, as it is affectionately known, is particularly irresistible for kids. The town boasts an array of summer-themed shops including two mini-golf centres, a games arcade, clothing shops and every type of food that kids love to devour. From July 25 through to October 28, kids will love the cornstalk maze and family fun at the Grand Bend Maize Place. From May to October, every Sunday thousands of bargain hunters flock to the popular Pinery Antiques Flea Market on Highway 21 between Grand Bend and the Pinery Provincial Park. The park itself a jewel in the Ontario Provincial Park system that provides respite from the crowds. Here families come to enjoy camping, cycling and picnics and the quieter more natural aspects of the beaches, dunes and surrounding forests. Adults are drawn to Grand Bend to take in the summer theatre at the Huron Country Playhouse, or to break par 70 at the 18 holes of Oakwood Inn Resort. Auto-racing enthusiasts take in racing at the Grand Bend Motorplex or Grand Bend Speedway. Those 18 and over can also learn to skydive at the Grand Bend Sport Parachuting Centre. The Lambton Heritage Museum, just south of Grand Bend, has a small pioneer village and numerous displays including a top-notch collection of agricultural machinery and the largest pressed-glass collection in the country. Take Richmond Street North (Hwy 4) or Highbury Ave. north out of the city, past Hwy 22 and turn east at Hwy 7. Watch for the T intersection to the left marked Perth Road 25, turn left and continue to town. St. Marys, just a 45-minute drive from downtown London has a character all its own. It is a community very much in tune with its history. No wonder—reminders of this history are all around! Settlers in the early 1840s were first attracted to the fast-flowing rivers where they built mills where Trout Creek joins the Thames River. Another early attraction was limestone, close to the surface and ready to quarry. Today the mills have long since shut down but the old millrace is a feature of a beautiful park and walkway along the river. The days of quarrying St. Marys limestone for building blocks are over but many fine stone buildings from the 1800s remain as a lasting legacy to that earlier time. Four passenger trains a day stop at the VIA Rail Station, a restored 1908 building of brown "railway" brick that also serves as the Tourist Information Centre. A bridge over the Thames River is part of the Grand Trunk Trail, a 2 kilometre walk through the north part of the town. From there, you can admire breathtaking views of the town and the Thames River. One of the main tourist attractions is the Canadian Baseball Hall of Fame. Open May to October, the amphitheatre-style ball fields, unique museum and nature walking trail—32 acres in all—will fill your day. But while rich in history, St. Marys has many modern features to offer visitors. By far, the most popular summer attraction is the Quarry, a swimming pool of deep, fresh spring water where once stone was quarried for building material. Billed as "Canada’s Largest Natural Swimming Pool," it has lifeguards, diving boards, change rooms and picnic facilities. 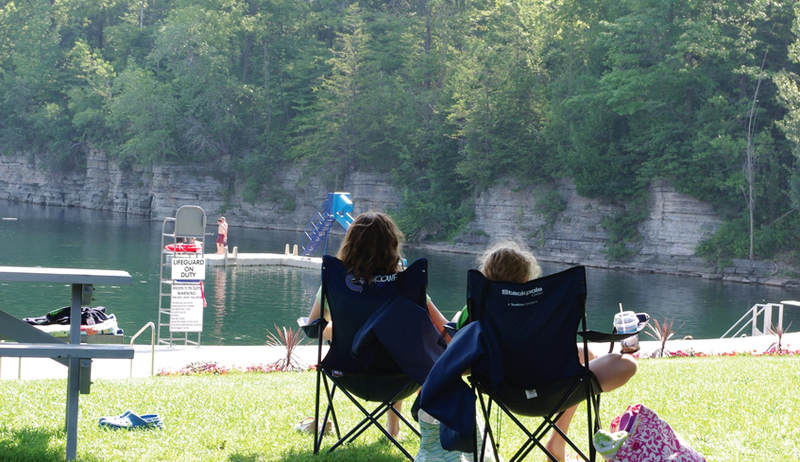 Nearby Wildwood Conservation Area offers swimming, fishing and boating along with campsites for tents and trailers. Take Richmond Street North (Hwy 4) about 20 km in Elginfield turn right (east) onto Hwy 7 to Stratford, about 40 km. 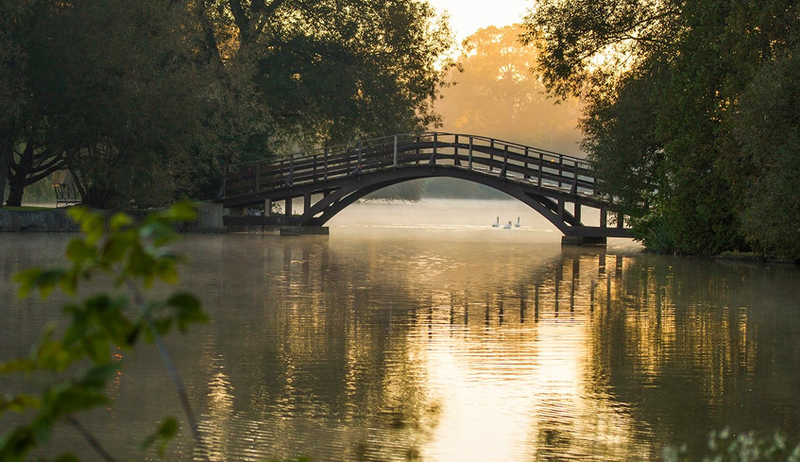 Set in the heart of Southern Ontario, the city of Stratford is a cultural jewel. Step into the excitement of a vibrant city core or stroll through beautiful parks beside a peaceful lake. Victorian architecture, tree-lined streets and outstanding restaurants complement world-class theatre. All too often, London visitors to Stratford allow themselves only enough time for a sumptuous restaurant meal before dashing off to one of the many theatre performances that have made this city famous. Stratford, like a fine cognac, is a place that should be savoured slowly. The Stratford Festival of Canada, North America’s leading repertory theatre, offers thought-provoking dramas, spirited comedies and spectacular musicals. Beyond the productions, fascinating tours of the Costume Warehouse or the Festival Theatre take you onto the stage through the production areas and backstage. Other Festival Fringe activities include the celebrated writers series, night music and post-performance discussions to list a few. For tour reservations and tickets, call 1-800-567-1600 or visit www.stratfordfestival.ca. Stratford Summer Music appeals to the music lover in all. Eclectic mixes of musicians have included Stratford Festival Cabaret Performers and other well-known artists. For further information, please contact 1-800-561-SWAN or check the city’s website below. Rent a bicycle, a canoe or paddleboat. Take in Jazz On the River or Concerts in the Park. 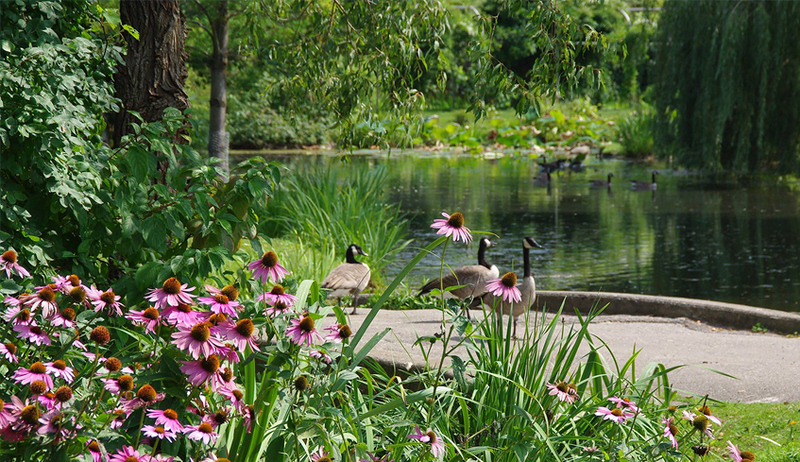 Stroll through the Shakespearean Gardens. Visit the Saturday morning Farmers’ Market. Board the Juliet III for a cruise along the Avon River. Or visit the exciting exhibitions at the Stratford-Perth Museum (1-519-271-5311) or Gallery Stratford (1-519-271-5271). Unique shops specialize in goods as diverse as antiquarian books, Scottish clothing, gifts, handmade chocolates, Waterford crystal, music and toys to name just a few. Take Richmond Street North (Hwy 4) out of the city past Hwy 22. Continue north for 60 km and turn left (west) in Hensall onto Hwy 84 until it ends at Hwy 21. Then turn right (north) and Bayfield is 16 km ahead. If Grand Bend is a town of summertime exuberance, then laid-back Bayfield is its perfect counterpoint. Both towns are built on Lake Huron and both swell in population as the temperature soars and the vacationers arrive but the flavour of each town is distinctly different and they tend to attract different crowds. Maybe it’s Bayfield’s big shady trees making a canopy over the cinder sidewalks or maybe it’s the cottage-like shops with their colourful gardens, but the town exudes a delicious unhurriedness. Perfect for sauntering down the main street, lingering in an outdoor café and browsing in the many boutiques. The shops are a major drawing card, not only in the goods they carry (antiques, china, gardening gifts, clothes, jewelry, pottery, art) but also that there are shops geared to a variety of price ranges. If you’re looking for an unusual or one-of-a-kind item you may well find it here. There is a very long legacy of hospitality in Bayfield. The Little Inn of Bayfield has been serving dinner guests and overnight visitors for more than 150 years. The Albino Hotel, a storied country restaurant and pub, has been in business for more than a century. The Red Pump Inn with its elegant building, restaurant and gift boutique has become a well-loved institution within a few short decades. 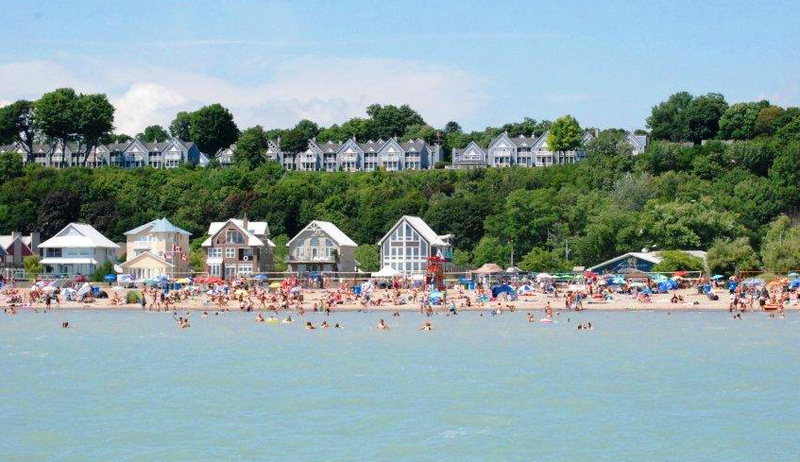 Americans seem particularly drawn to Bayfield largely due to the Bayfield Yacht Club and the excellent moorings here. The beach is somewhat eclipsed by those of nearby Goodrich and Grand Bend, which makes it an absolute haven if you’re looking for something quieter. Do yourself a favor by stopping by this peaceful oasis. Take Richmond St. North (Hwy. 4) out of the city past Hwy. 22. Continue north on Hwy. 4 for 60 km. to Clinton. Turn left (west) at Clinton onto Hwy. 8 and Goderich is 20 km. ahead. For decades Goderich has declared itself "The Prettiest Town in Canada." It's undeniably true that the town, perched on the bluff overlooking the splendour of Lake Huron is well blessed in natural gifts. The harbour here is deep enough to handle the major ships of the Great Lakes. The lighthouse built in 1847 is not merely a piece of history—it’s still beaming to recreational boaters and commercial ships 24 hours a day. Shipping has been an integral part of Goderich history and the Marine Museum captures it all. It seems only fitting that the museum has been built in the cabins and pilothouse of a former freighter. The lake alone is not all this town has to offer. This 19th-century town is delightfully different thanks to a history of talented architects and planners as well as those who have strived to preserve their works. Unlike other towns, Goderich does not have a straight main street. Instead, the downtown is built in an octagon with the shops surrounding a park and the court house. All summer long, visitors can enjoy musical concerts, plus their famous farmers market on Saturdays and a flea market Sundays, all held outside.